Boil the pasta in a large pan of water for around 10-12 minutes until al dente. Meanwhile, preheat the grill to high. Put the tomatoes cut side up into a shallow roasting tin. Drizzle with oil and season. Grill for 7-10 minutes until they start to shrivel. Drain the pasta and return to the pan. Fold in the tomatoes and ham. Sprinkle with the thyme leaves and serve. 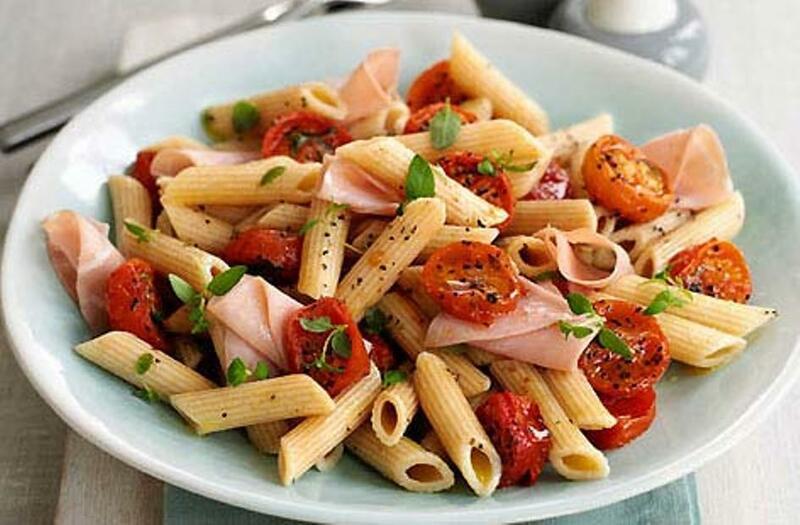 This entry was posted on June 23, 2011 at 8:33 pm and is filed under Food with tags cherry tomatoes, freshly ground black pepper, grilled, honey-cured roast ham, olive oil, pasta, penne, recipe, thyme leaves. You can follow any responses to this entry through the RSS 2.0 feed. You can leave a response, or trackback from your own site.